Stuff was very helpful before and during our stay. Got help and answers very quickly. Very helpful staff, changed beds to new beds on request! Location - just 3 blocks from the sea-front and beech, just about 200 meters from a street car and bus stop. Lovely staff. Very good location. Near Beach. Tram into city just a street away. Very good value for money. Staff helpful. Lots of places to shop and eat. 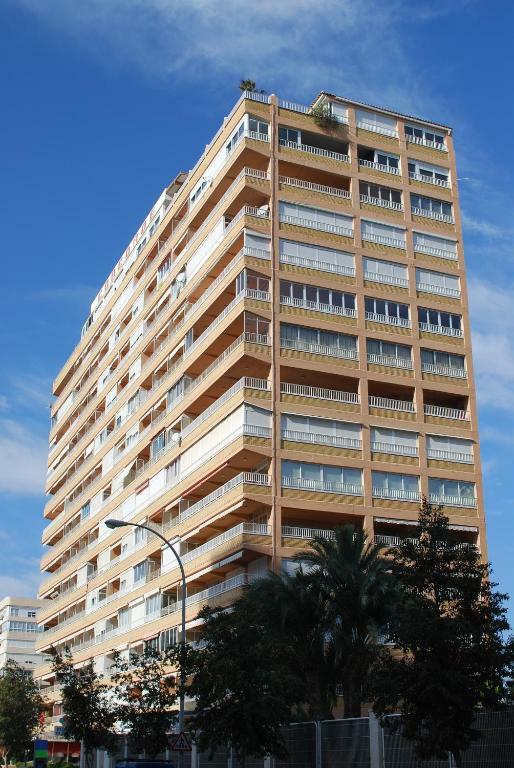 The property was located close to the beach and tram stop which took us into Alicante Town and we also ventured another day to Benidorm. Loads of restaurants near the apartments, would recommend the chinese restaurant opposite and the good burger near the tram stop. 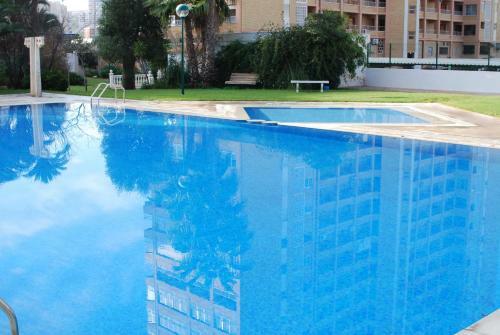 We had a very relaxing stay in this part of Alicante. The apartment was a great size and there were plenty of chairs indoors and outdoors. I loved swimming in the pool even in April it was a little cool but nothing like swimming in the sea in Ireland and outside it was 24 to 27 degrees so lovely. The staff in the office were professional and very friendly and helpful. I would recommend these apartments and I would like to stay there again. Thanks !! Good location that was close to the bus stop, the beach, shops and restaurants. Easy to collect the keys and we were shown around the apartments and were given recommendations for restaurants and the supermarket was pointed out. Comfy beds and suited us for a short stay. Such a charming neighborhood of San Juan del Alicante !!!! Reminded me of Palm Beach Florida... Uber close proximity to the beach and the bus stops. Buses 21 and 22 go straight to the city centre!!! Grocery store and countless restaurants and bars just 5 minutes walking distance. Pure pleasure. We thoroughly enjoyed our studio apartment!!! One of our top picks in Alicante.In gardens and featuring an outdoor swimming pool, Apartamentos Concorde is just a 3 minute walk from Sant Joan Beach. Its apartments and studios have free Wi-Fi. 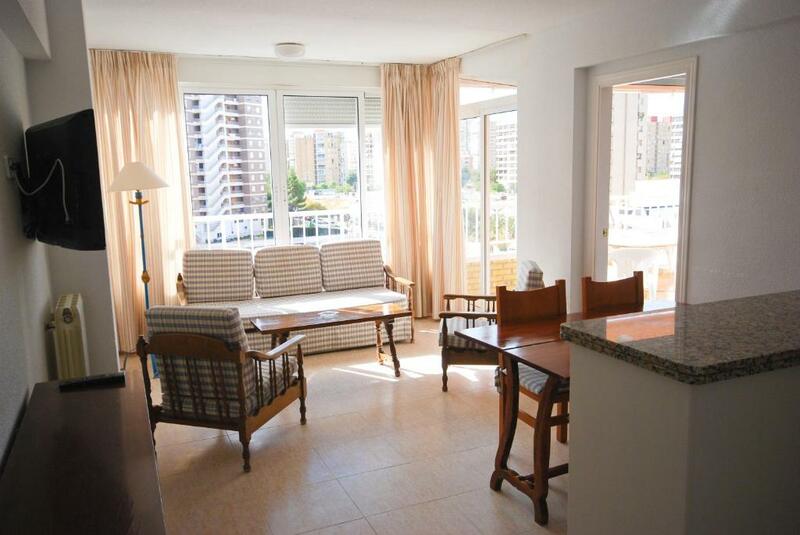 All simply decorated air-conditioned apartments and studios have seating areas with satellite TV. Kitchenettes come equipped with a microwave, electric stove and a fridge. Most accommodations offer side sea views. There is a selection of shopping in the streets surrounding the Concorde. Restaurants and bars can be found on the seafront promenade, one block away. 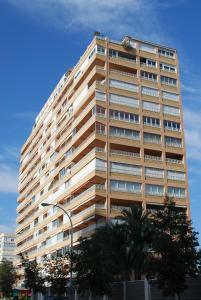 Buses and trams to the center of Alicante stop just 450 feet away on Avenida de la Costa Blanca. 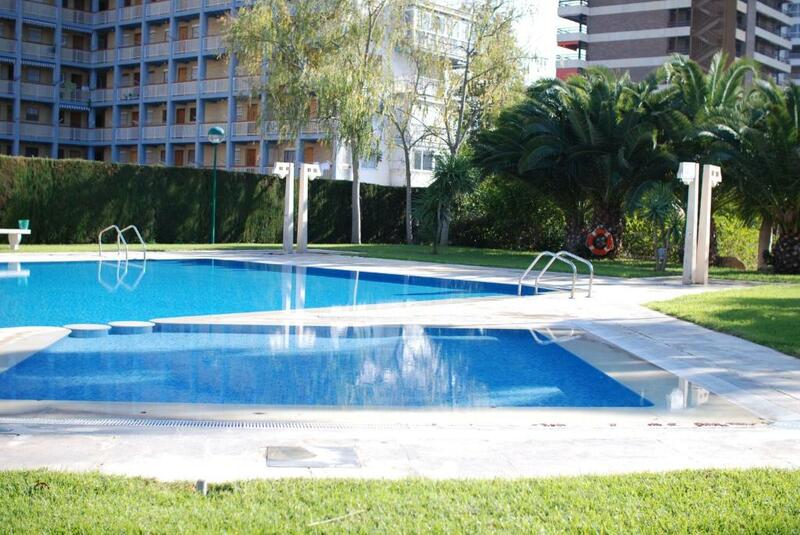 Alicante Golf Club is just a 10 minute walk away. When would you like to stay at Apartamentos Concorde? This air-conditioned studio has simple décor and free Wi-Fi. There is a double bed, or 2 single beds, and a sitting area with satellite TV. The kitchenette includes a microwave, electric stove and a fridge. This air-conditioned apartment has simple décor, free Wi-Fi and a balcony. There is either a double or a twin bedroom, and includes a sitting area with a double sofa bed and satellite TV. The kitchenette comes equipped with a microwave, electric stove and a fridge. Some apartments offer side sea views. 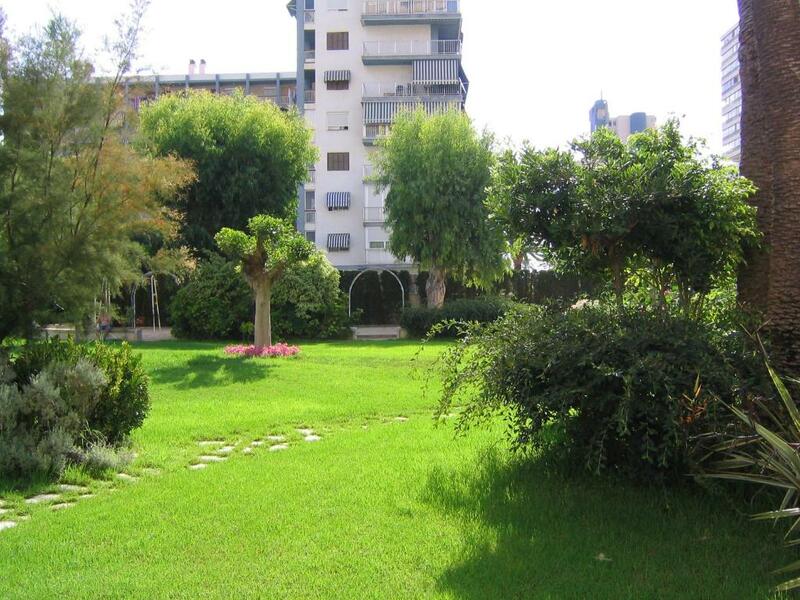 This air-conditioned apartment has simple décor, free Wi-Fi and a balcony with sea views. 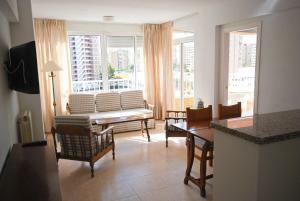 There is a double and a twin bedroom, 2 bathrooms and a large living room with double sofa bed and satellite TV. The kitchenette comes equipped with a microwave, washing machine, electric or gas stove and electric oven. This air-conditioned apartment has simple décor, free Wi-Fi and a large terrace. 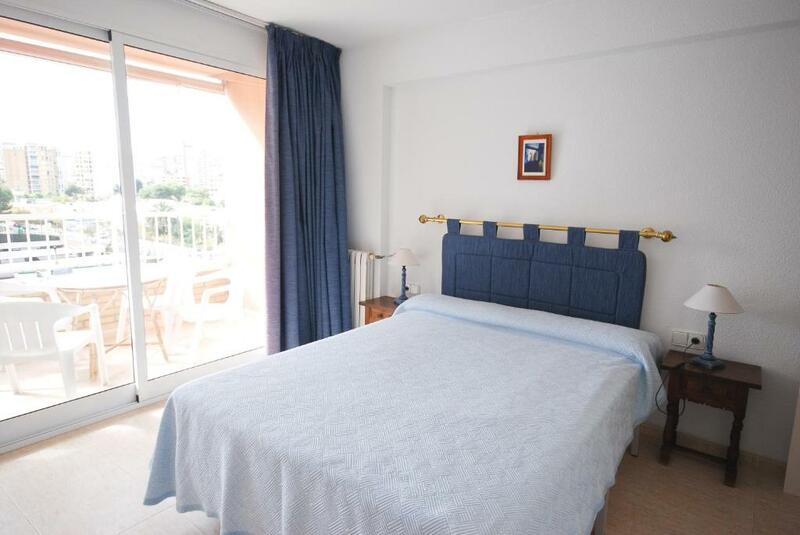 There is 1 double bedroom and 2 twin bedrooms, 2 bathrooms and a living room with double sofa bed and satellite TV. The kitchen comes equipped with a microwave, electric stove, oven and fridge. 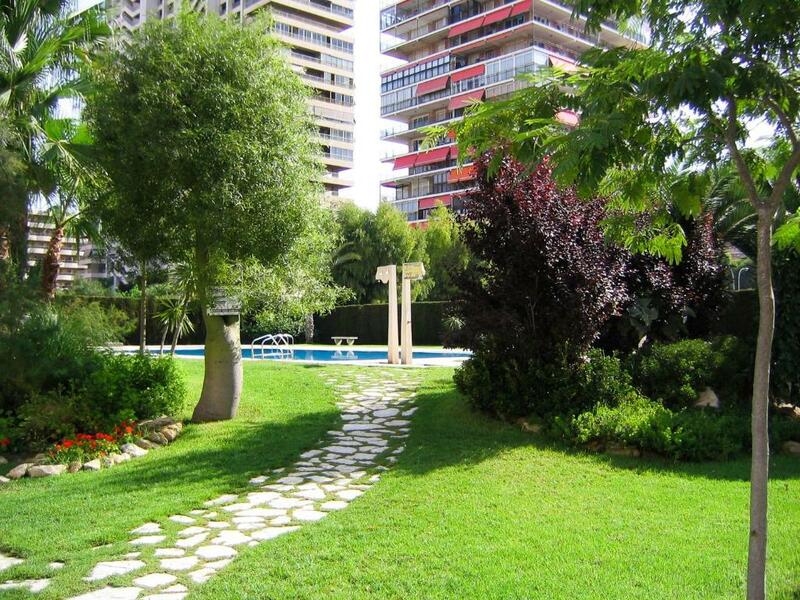 House Rules Apartamentos Concorde takes special requests – add in the next step! Apartamentos Concorde accepts these cards and reserves the right to temporarily hold an amount prior to arrival. If you expect to arrive outside reception opening hours, please inform Apartamentos Concorde in advance. Please note that late check-in has an extra cost of EUR 20. Please note that a EUR 12 deposit is required for the key to the car park. This will be refunded when the key is returned at the end of stay. This is refunded upon check-out. Late check-in is free when a shuttle from the Airport or Central Train Station is requested. A taxi will pick guests up at the gate with the keys to their apartment. Please note that payment is required upon check-in. Very very basic. Old apartment, old furniture etc. Close to the beach. No thrills. Quite basic kitchen facilities, we had to go out and buy a bottle opener! Nothing I can think of... Pure pleasure. On arrival I was confused by reception being in the building next door which I thought was an unconnected shop! There should have been a notice on the door with directions at the very least. One of the lifts felt unsafe and I had to use it being on floor 13. There was no extractor fan in the bathroom and there were nasty smells there and from the kitchen sink. The whole place was dated and needed refurbishment. Convenient for public transport and beach. Reception staff were excellent and very helpful. Very dated interior, furniture old and wicker chairs falling apart. The apartment very clean, but needed a complete update. Great location. Very close to the beach. Side seaview. Big terrace with enough space for sunbathing. A bit short bed. No kettle in the kitchen. Only one towel hook in the bathroom. There was a strong smell of fish when we first arrived at the apartment. With all windows open and the extractor on we managed to clear it but it kept reappearing. We eventually decided that it was probably our neighbour's cooking! When we mentioned the smell to the manager the next day he immediately wanted to change our room but we decided to stay put as we were only there for a few days and didn't really want to waste our time with disruption. studio a little cramped for space. Facilite is not very New.